The main purpose of this question is to see if you have some of those qualities which employers look for in their employees like – dedicated, performance oriented, hard working, creative etc. So, pick one of your qualities which employers are willing to buy and offer it as an answer. This is usually the first question you would face in any interview. The basic purpose of this question is to start the communication and put the candidate to ease. 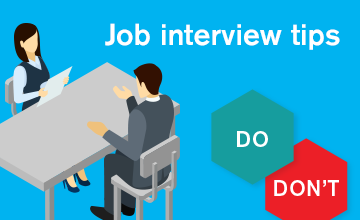 This is the simplest but the trickiest question as you can take the interview in whichever direction you want through this question. To answer this question, start with some information about your family back ground, educational qualifications and work experience. Focus on the things you have learnt during your last employments. The trick is to put a full stop at right place to provoke the desired next question. A center equipped to handle a large volume of telephone calls. These calls could be the calls coming in from customers for service or support or these could be the calls that call center executives make to the customers for marketing. What are the different types of call centers? a.) Inbound call centers – Inbound call centers are those which receive support or service calls from customers usually on a toll free number. For e.g. when you call up a bank to check the status of your request for credit card, it is an inbound call. b.) Outbound call centers – Outbound call centers are those in which the call center executives make calls to the customers. These calls are usually made to generate the leads or sales. For e.g. when you receive a call from a bank offering you a personal loan, it is an outbound call. What according to you is a job like at a call center? The purpose of this question to see if you are aware about the type of job you have applied to and if you are aware of what call centers do. So, based on the answers to question number 2 and 3 here, tell the interviewer what you think people employed at call centers do. Why do you think companies outsource their call centers? c.) Access to special enterprise which has expertise in the domain. d.) Other resource related reasons like relieving resource constraints, reducing staff. Call center is a subset of BPO. When a work process is out-sourced to a different country which is not nearby – it is called off-shore outsourcing. For e.g. If USA outsources a work process to India- it is off-shore outsourcing. What is near shore outsourcing? When a work process is out-sourced to a nearby country, it is called near shore outsourcing. For e.g. If a business process is out-sourced from a company in USA to a company in Mexico or Canada – it is near shore outsourcing. When a business process is outsourced from a company in one country to another country in the same country – it is called onshore outsourcing. Why do you want to work in a call center? Relate the qualities you have to the requirements of a call center job like, good command over the language(English), team working capabilities, patience, good listening skills etc. and say that you think, these skills will make you successful in the industry. Also, talk about the prospects for the industry and how you think you can grow with it. Have you ever worked in a call center before? If so, how long did you work there? Can you do a job that requires you to stay on the phone all day? Before you go for a job at a call center you should know that the focus of the job here is “voice” which needs you to be on phone for quite a long time. So, the interviewer expects a “Yes” as an answer to this question. How do you rate your English skills? Again, before you apply for a job to a call center you should be aware that most of the call centers cater to English speaking customers and this needs you to speak clear English without any grammatical mistakes. How do you rate your patience and people friendliness? When you are applying for a job at a call center you should know that there will be moments when unsatisfied customers will get angry on you. The key here is to focus on what is the purpose of the call, maintain your calmness and be polite. As an answer to this question, you can say that you would rate your level of patience and people friendliness above average. You can back it up with an example from your personal or professional life. Say “Yes” if you have made up your mind to work for a call center. Call centers would usually work 24 X 7 which needs some executives to be always present in the center. This means that you would need to work in shifts. Do you get along well with co-workers? Getting along well with co-workers boils down to being a good team player. To answer this question, you can provide some examples from your professional life where you worked in a team and how you all achieved a common goal together. To answer this question – analyse the requirements of the position you have applied for and make a list of the qualities a person working in that profile should have. Pick up the qualities you have out of them and offer them as an answer. For e.g. some of the qualities people applying for jobs in call centers are: Patience, fluency in English, good hearing skills, problem solving etc. This is quite an expected question so you must go prepared with an answer for this question well in advance. You must understand that it is perfectly normal for any human being to have some weaknesses. What is more important is to identify them and work on them. So, if you are asked this question in the interview – stay calm and admit that you have weaknesses. There are two ways for you to answer this question now. b.) Offer one of your strengths as a weakness. For e.g. “My friends accuse me of being to picky about the grammar and the words in English but I think it is important to speak a language properly”. If you have applied for a position with a call center, they would immediately buy this. If you are currently working or worked in the past, it is one of the most obvious questions you would face. So, you must go prepared with a good answer for this. The key here is “do not bad mouth your last employer or boss”. Just say that you want to switch for better prospects. The purpose of this question is to see if you are ambitious and if you will stay with the company for sometime or not. Can you share with us your experiences from the last job? The purpose here is to see what you learnt during last assignments, how you used the opportunities to grow etc. Focus you answer on the challenges you faced, solutions you offered and your achievements. How would you manage your accommodation? This question might be thrown at you unexpectedly to see your reaction. To answer this, you can just say that accommodation will not be a problem, you will manage. Would relocation be a problem for you? Think over this before you appear for the interview. Do not say “Yes” if you mean “No” otherwise you will face problems after you have joined. Can you speak for two minutes on one of these topics? You will be given some general topics to see you communication skills, on the spot thinking capability etc. So, read a lot and be ready to speak on some general topics. Answer to this question shows your level of interest in the job and company. Make it sure that you read about the company before appearing for an interview. Give a reference if you know anyone inside. To answer this question, you need to prepare well in advance. Read through the requirements of the job properly and match the qualities, skills and experience you have with the requirement. Now offer this as a reason for you to be hired. Do you think you can work under pressure? Work and pressure are always going to co-exist. It might be the pressure at work or on personal front but you should be able to deal with it. So, the answer to this question should be “Yes” backed up with some example where you worked under pressure. A person in a particular role needs to have some qualities, skills and expertise. Analyse the ones required by the position and offer them as an answer. For e.g. – if it is a support job –offer analytical skills, problem solving skills, patience and communication skills as an answer. Don’t jump at a figure when asked a question about expected salary. Put the ball back in interviewer’s court by asking them, “What does the company offer for a position like this?” If you are the one who has to speak out the figure first, give a range which is not too broad for. e.g. I expect something in mid thirties or something.